This salon is located in the fashionable and chic area of Edinburgh City Centre nevertheless displays no pompousness, just a laid-back and friendly service. Being very much at the heart of the industry, the highly trained and professional team at the Sassoon Salon in Edinburgh pride themselves in creating looks that are inspired by fashion’s latest trends, yet amenable to everyday life. The interior of the salon is very modern and bright. As if that is not enough to have you reaching for the telephone to book yourself in for a cut, the salon is also renowned for having an individual approach to styling hair so if you are feeling stuck in a rut with your style, this is definitely the place to visit. Moreover its central location in the city means you do not have far to walk if you are spending the rest of the day at the shops! I visited the salon in pursuit of the “perfect blow-dry”. Fortunately I had nothing to worry about during my visit here. Gareth put me at ease straightaway, offering me plenty of advice on how my hair needed to be styled before he got to work. I was extremely happy with the end result. Once completed, my hair resembled a bouffant bombshell that Cheryl Cole would be proud of. I was not aware my hair could take so much volume and height, and ping out the way it did, while looking and smelling divine. Also thanks to the Kerastase intensive conditioning treatment my stylist suggested, my frizz and dullness had disappeared completely. Gareth. He was extremely knowledgeable and amiable. He dried my hair with expertise and effortlessness whilst recommending products to use, without the hard sell. Every client receives a soothing head massage when having your hair lathered up with gorgeous smelling products. The stylists are marvellous at analysing your hair type, offering insightful advice and understanding what the client is looking for. A little on the pricey side at £55.00 for a cut but certainly worth every penny taking into account the quality of service, friendly staff and relaxing environment. Address: Sassoon Salon, 10 Multrees Walk, Edinburgh, EH1 3DQTel. Number: 0131 558 2849. 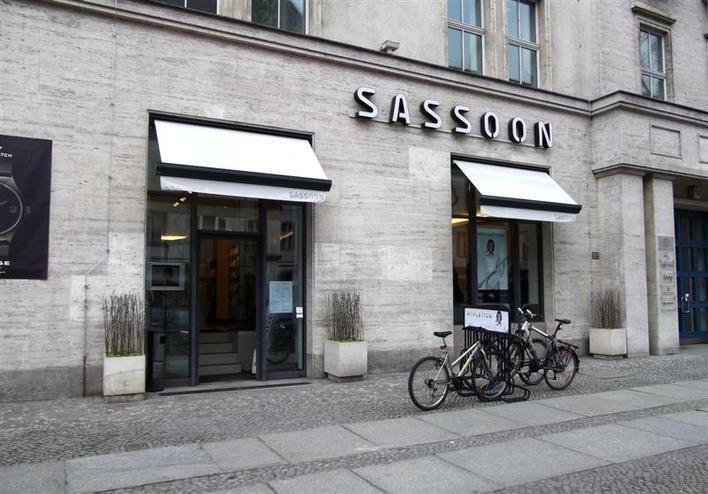 Website: www.sassoon.com for a salon list covering the whole of the United Kingdom. Next Post Dior Sunglasses -Hit or Miss?